The shallow, shore-hugging waters that dot the landscape provide the perfect conditions for mangroves to thrive. These gorgeous, intricate, mini microsystems are the thriving hub of the ecosystem in Sri Lanka. They are more than worthy of your exploration and attention when visiting the island nation with us here at IS. Negombo is a beautiful laid-back beach town that sits to the north of Colombo. Here you can start your tour of the nation’s wetlands through travelling the waters of the Dutch Canal, built in the 18th century to transport spices. As you sail along, you should keep your eyes peeled for a variety of local bird species, who rustle among the leaves quite shyly. You can hope to see birds such as the white-throated kingfisher, green and purple herons, cattle egrets, cormorants, and red lapwings among many others. Also look to the water where you will inevitably spot schools of silver flying fish. Being in shallow waters surrounded by dense greenery really is soothing for the soul. You feel an overwhelming connection to nature when immersed in one of the most intricate ecosystems in the world. Sri Lanka is home to almost 30 species of mangroves, with their distinctive green pods dangling down from the branches to drink from the waters below. 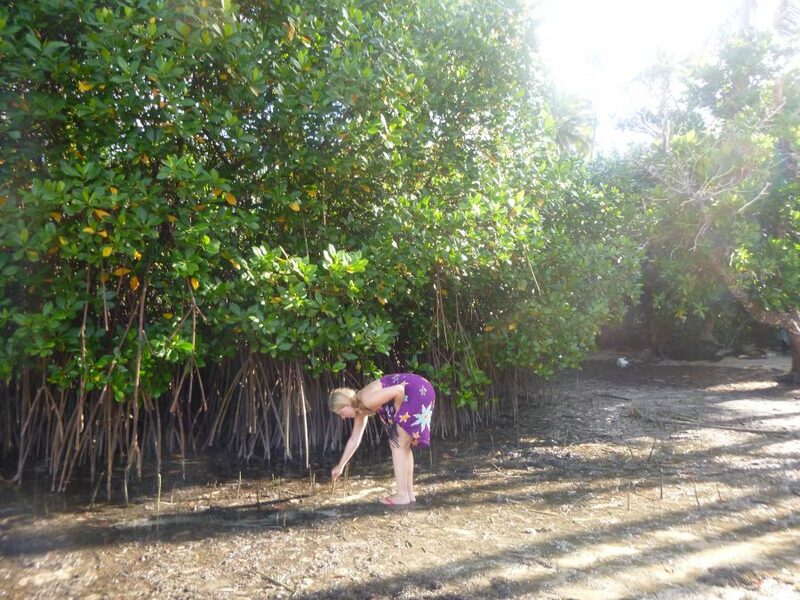 Mangroves are more than just a beautiful place to visit. They play a critical role in Sri Lanka’s ecosystem, and moreover, the world’s coastal ecosystem. This is because they provide much needed shelter for baby fish, and they also appropriate 50 times more carbon dioxide than other types of forest. This means they are big players when it comes to combating climate change, so as well as their critical role in biodiversity, this is another reason they need our respect and protection. Their functionality doesn’t end there. They also provide a buffer against tropical storms and help to dramatically reduce damage to coastal communities. For example, in the 2004 tsunami, communities that were guarded by mangroves were said to fare much better than those without. 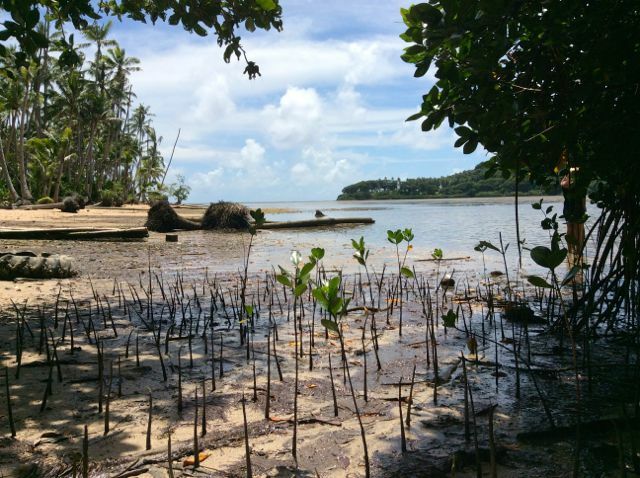 Despite all of these blindingly obvious benefits, mangroves are sadly at risk. This is due to the shrimp farming industry. The country however is combatting this risk, by ensuring that the importance of mangroves is ingrained in education programmes nationwide. 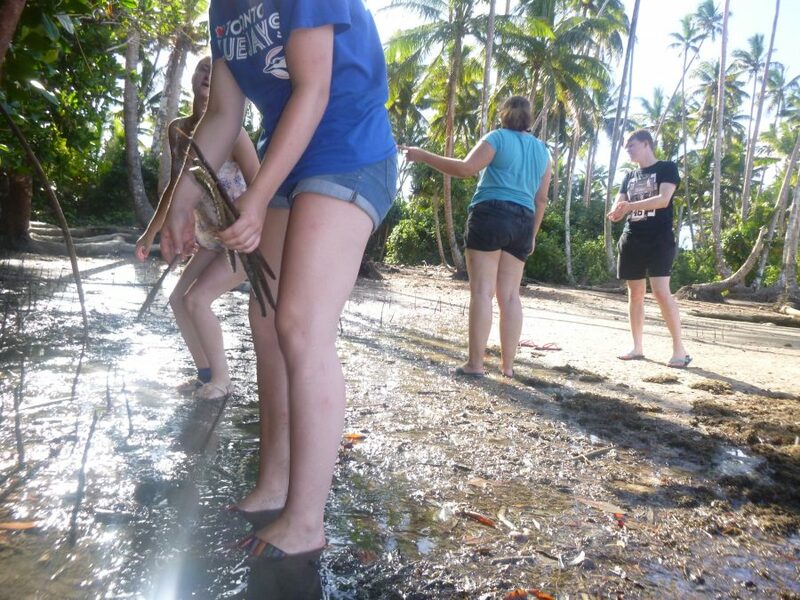 California based university, Berkely, is halfway through a five year partnership with Sri Lankan charity, Sudeesa, to teach local Sri Lankans about the importance of mangroves. They do this by providing workshops, as well as business insights and microloans to local women in exchange for them championing the mangroves through conservation, awareness raising, and rehabilitation. These women receive a three day training course on conservation, business management, and livelihood development before receiving the loans. So far the initiative has reached 14 districts and 1500 communities in mangrove regions. 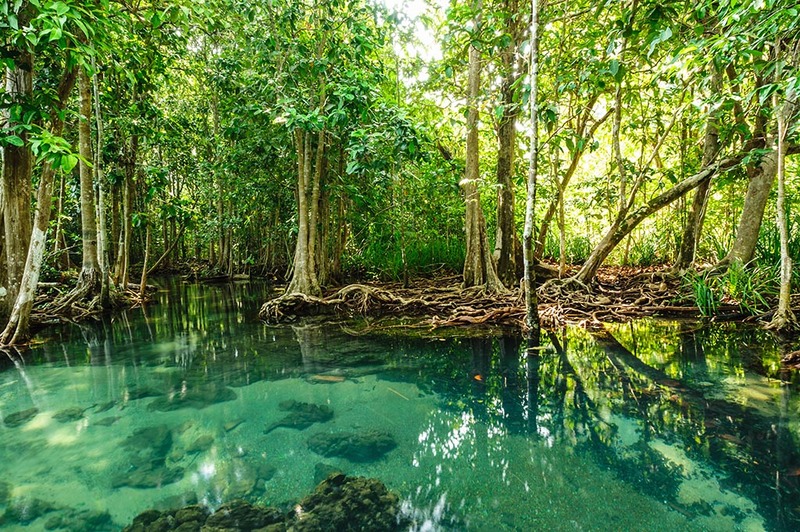 We are thrilled here at Island Spirit that governments and universities are working with local people to help protect the natural environment and to educate against ignorance to protect these spectacular mangroves. Explore Sri Lanka’s mangroves in real life and hike into the depths of the UNESCO rainforest in our latest volunteering eco-adventure tour! Visit this link to find out more about our upcoming January 2018 trip.